It nice to see that all five of the designated public service broadcasting channels can now be viewed throughout the UK on Freeview, Freesat and Sky. 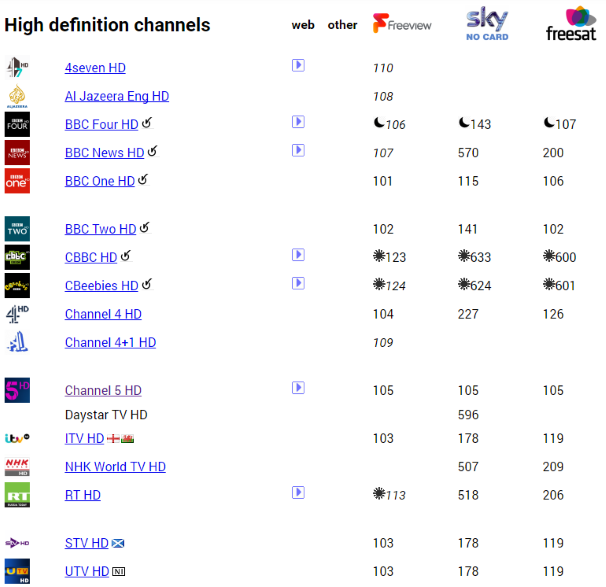 Here is how the HD line up looks on Freesat now. 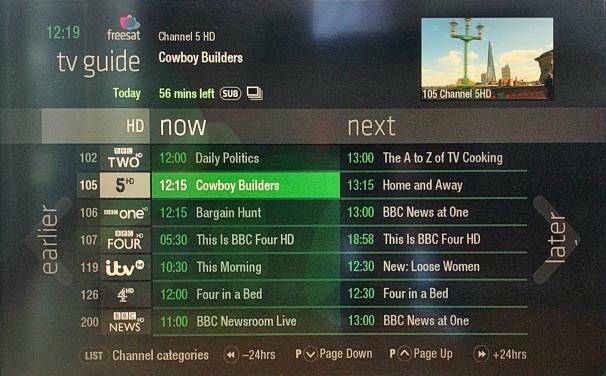 You might need to check your Series Links on Freesat – due to the removal of Channel 5 standard defiition from the channel guide, my personal Freesat Freetime box needed my Channel 5 schedule recodings doing again. Yes - fix your equipment! 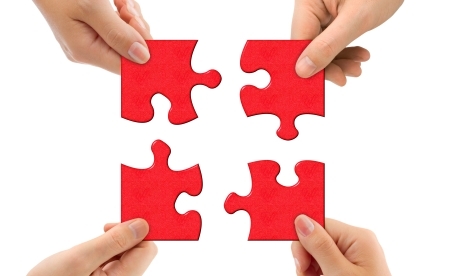 You have specified three main stations with hundreds of thousands of viewers, total equipment redundency at the transmitters and monitored 24/7 by the transmission engineers. You have also stated that you are in a poor signal location anyway. Syno: You say your in a bad area for reception - put your postcode into the site, and we can see from your location if this is actually the case or not. MB is correct - if a mux has vanished, its most likely to be a problem with the system in a home, not the transmitter. Reception in Waterloovile, Hampshire, appears poor on some of the non-BBC/ITV/CHAN4 channels (eg REALLY). When I checked the coverage areas, Waterlooville was not high-lighted at all: Horndean and the Isle-of-Weight where well-saturated in signal. Is Waterlooville ear-marked for a 'booster' transmitter? Robert Goulden: Any new relay transmitters built will only carry the public service channels, not the commercial channels which you refer to. Please provide a postcode so we can see the reception prediction for your location and which transmitters are available to you, so that further advice can be offered.